The popularity of Western Digital's mechanical hard drive products on the market this time seems to be opening the way for many of its flagship solid state drive (SSD) products. 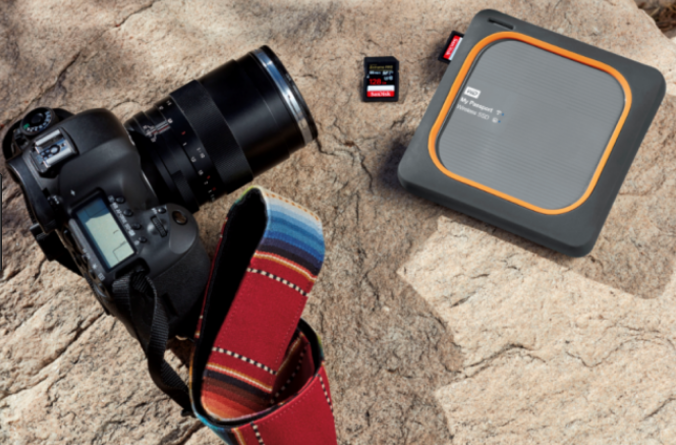 This is at least visible with the seriousness of the storage manufacturer in bringing some of its newest SSD branded products to the Consumer Electronics Show in Las Vegas, including My Passport Wireless SSD with its own brand, and Extreme Portable SSD with its SanDisk label, purchased in 2015 ago for $ 19 billion. Interestingly, WD offered both of its flagship products to "avid photographers and drone enthusiasts" who needed a durable and high-performance capture media solution. It starts with My Passport Wireless SSD, available in capacities of 250GB ($ 229.99), 500GB ($ 299.99), 1TB ($ 499.99), and 2TB ($ 799.99). Each keeps the SSD inside the shock-proof chassis with a protective bumper. According to WD, the SSD can withstand shocks, vibrations, and impacts from falling to a height of up to 1 meter (which has been tested on carpeted concrete floors) when operated. My Passport Wireless SSD delivers an in-built SD card reader with one-touch keys. Not only that, this powerful SSD has also been equipped with USB 3.0 port for transferring files to and from PC, streaming 4K wireless video and photos, offering RAW file preview support, and has a built-in power bank to charge the mobile device. As for the SanDisk Extreme Portable SSD, more aimed at fast storage for various high resolution photos and videos. 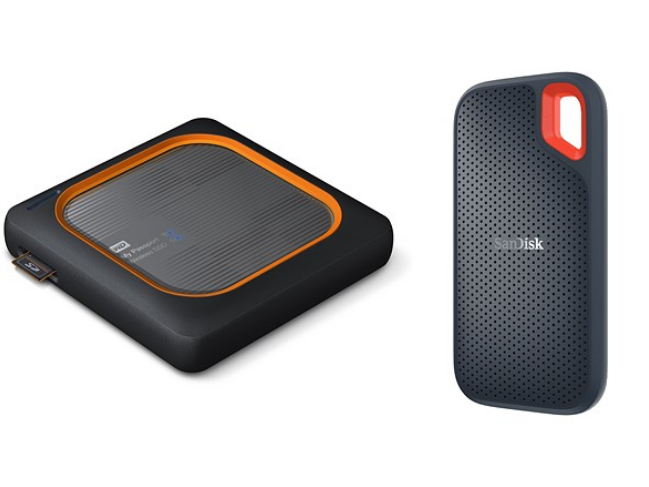 Appearing in the same capacity options, the SanDisk Extreme Portable SSD is priced at $ 99.99 for the 250GB model, $ 169.99 for the 500GB model, $ 349.99 for the 1TB model, and $ 699.99 for the 2TB model. Each capacity has a read speed of up to 550MB / s, via USB 3.1 Gen 2. In addition, all models also have IP55 certification that makes it waterproof and dust, shock-resistant (up to 1500G) and vibration resistant, and temperature-resistant extremes ranging from 32F (0 ° C) to 113F (45 ° C).